It is no secret that I love stripes. 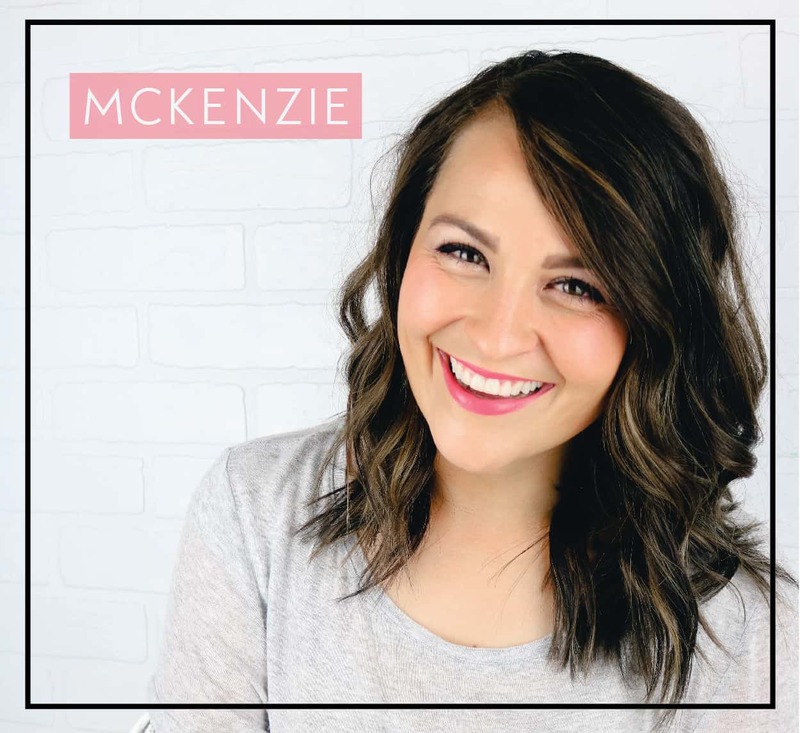 They are in the decor throughout my house, my closet is full of them, and I dress my kids in a lot of stripes. I mean, how can you NOT love a good stripe?! I few years ago, I made a floral stripe wreath that I still love to this day. I knew I needed to make a Christmas version of this wreath. 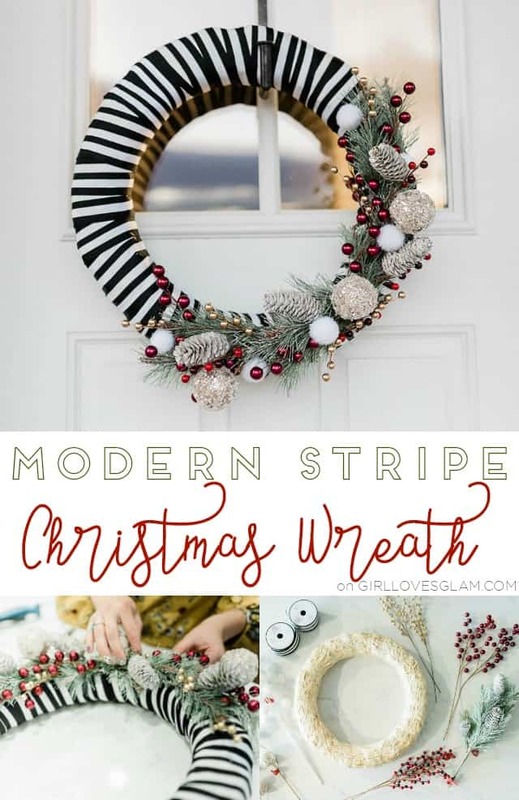 I just really love how this modern stripe Christmas wreath turned out! 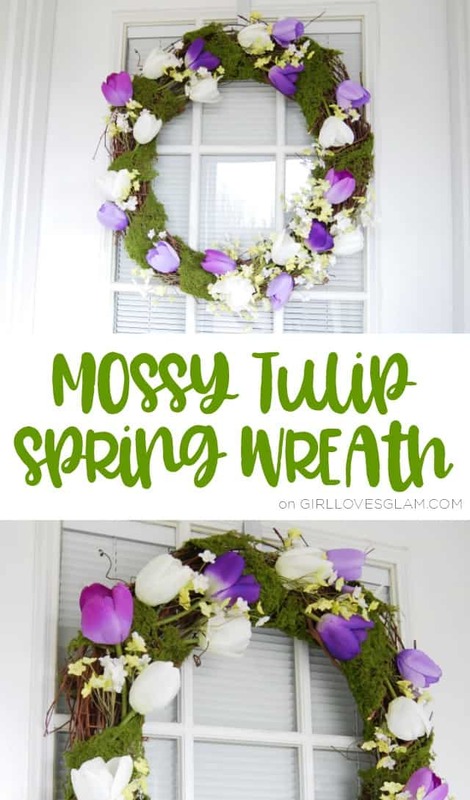 I love this gorgeous spring wreath! The moss and tulips together make such a perfect welcome for spring and a perfect welcome on the front door! We have officially entered the season where my daughter expects to do a different Christmas craft everyday! Parts of that are so fun, but other parts make it hard. I can’t come up with my own crafts everyday! 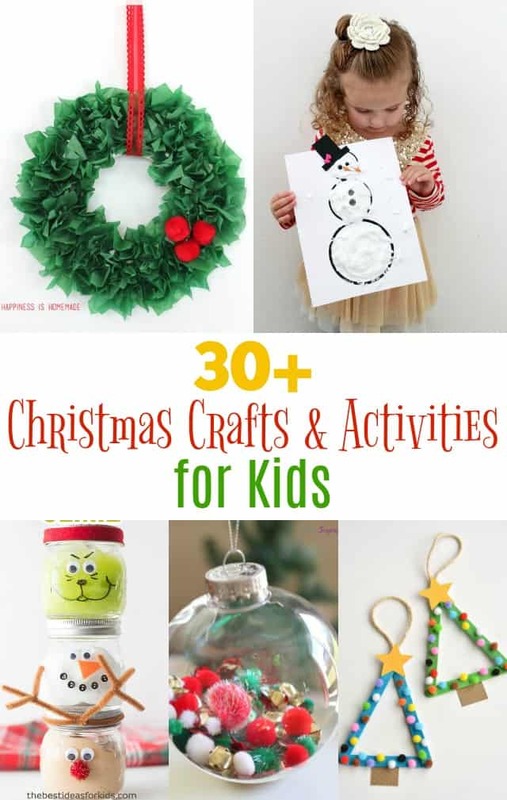 I have rounded up a bunch of adorable kid crafts and activities that are going to keep us busy all holiday season! If you follow me on Snapchat, you have seen that I am knee deep in decorating my office (finally)! Don’t worry, you will be seeing the whole thing soon. It is turning into my favorite space in my house, which means that I will probably be willing to get more work done! 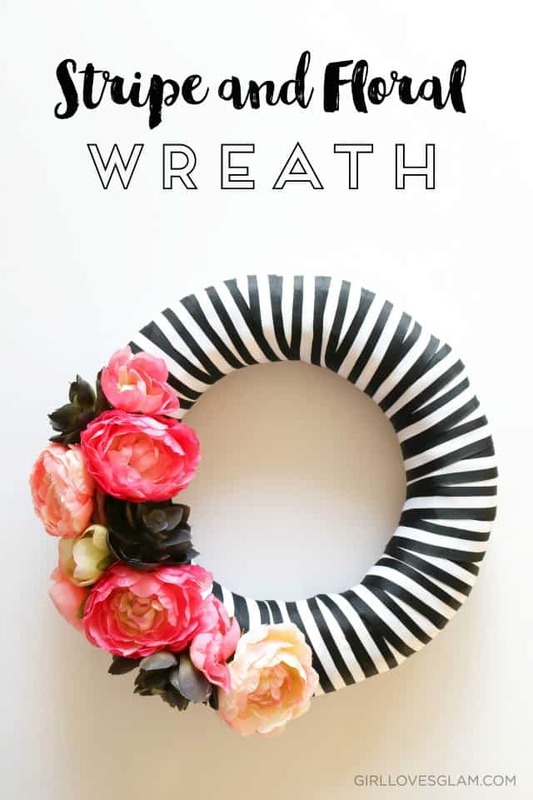 I wanted to make the perfect little wreath for my office and since I can’t seem to get enough of stripes and floral print together, I knew just what I wanted to do for my wreath. Sweaters are just the best! They are comfy, cozy, and cute. Can I use any more “c” words to describe sweaters? Maybe, but instead of boring you with that, I just want to share the latest and greatest sweater goodness that adorns my home now… my holiday sweater wreath! It is THEE BEST! Isn’t it great? 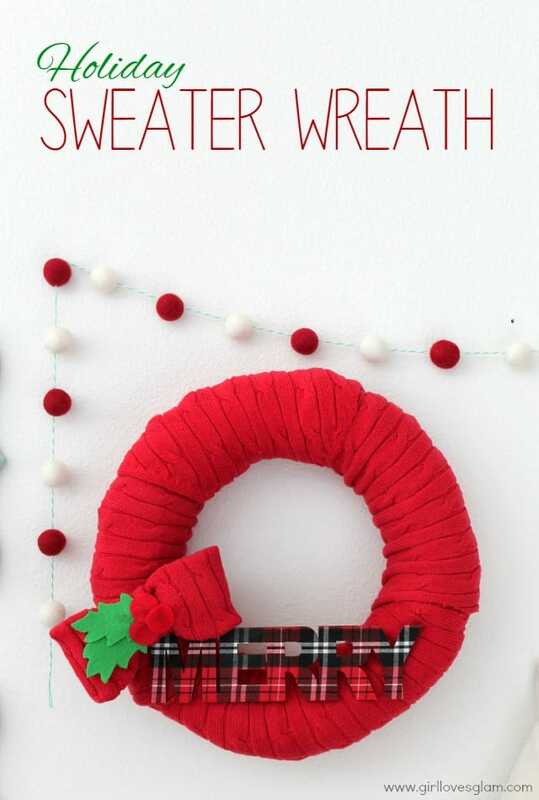 It just doesn’t get any better than cable knit goodness wrapped around a wreath. Seriously. Since I try not to do anything too difficult in my life, this wreath can be whipped up in no time. I finished the entire thing in half of the time of a cheesy made for TV Christmas movie and you can too, just make sure you choose the right cheesy movie to watch.